Successfully Added Vonets MINI 300 Wireless Wi-Fi Repeater + Bridge - 300Mbps, 100 Meter Range, Built in Security to your Shopping Cart. 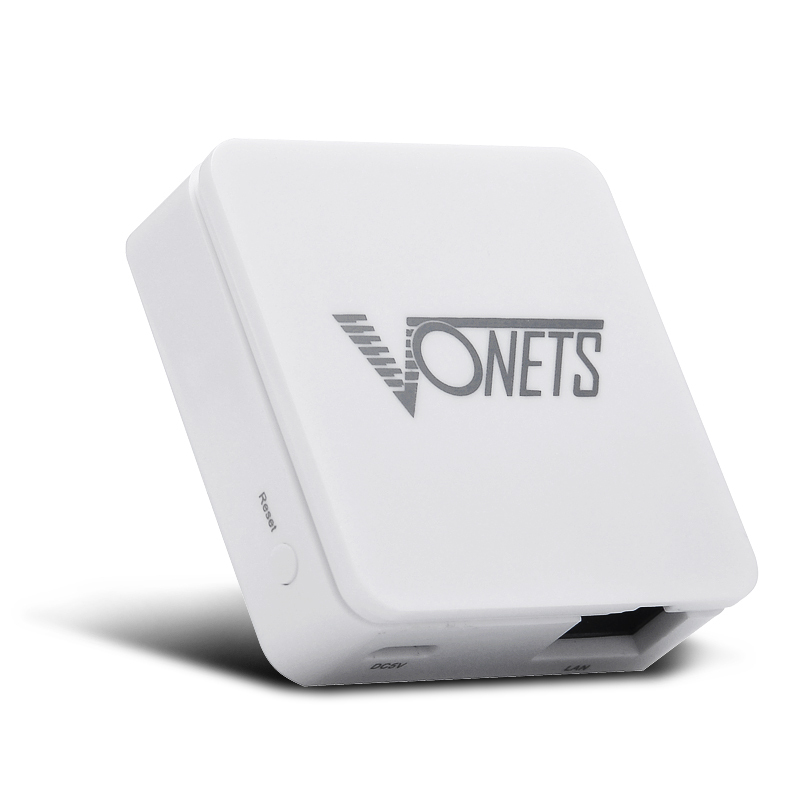 Vonets Mini Wireless Wi-Fi Bridge and repeater with security mechanisms 300Mbps transmission rates and a 100 meter range is ideal for your home, office or internet cafe. .
Vonets MINI 300 is a Wi-Fi signal repeater. When in the repeater mode the MINI300 can increase the Wi-Fi signal coverage up to 100 meters and at the same time provided security for the wireless signal. When used as a repeater it’s able to receive a weak Wi-Fi signal, and boost this to a normal strength signal while also and processing error correction to achieve safe and secure signal coverage at upto 300Mbps. The MINI 300 also has an intelligent bridging mode enabling you to bridge wireless and wired devices together and has intelligent switching helping you connect your devices together with ease. This product is in stock now, we guarantee next working day shipping and offer a 12 months warranty on all our products. Brought to you by the leader in electronic devices and wholesale network accessories, Chinavasion. Recebi os produtos conforme combinado. Estou muito satisfeito com a qualidade do produto! !Excelente.